In 2016, more than 50,000 exports moved through the Port of Portland – making it No. 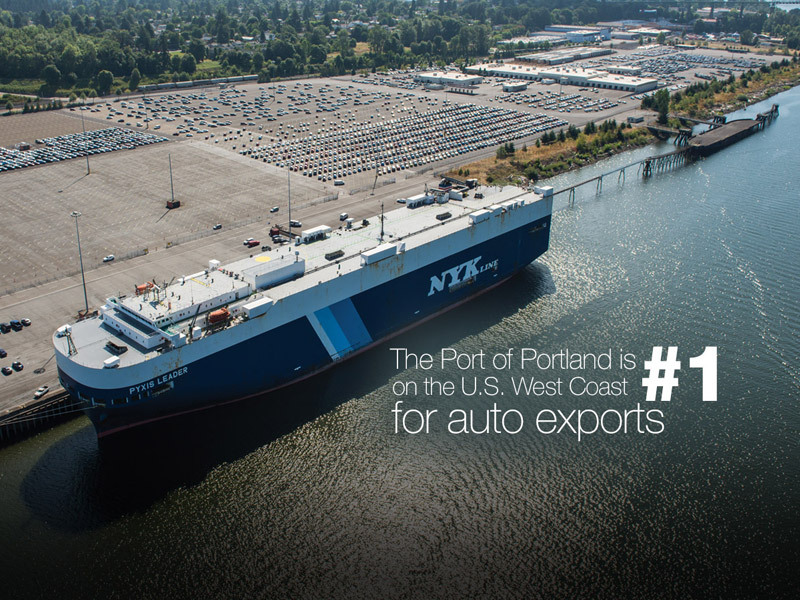 1 for auto exports on the U.S. West Coast. When you combine imports and exports, a total of 291,000 vehicles rolled through the Port’s terminals to foreign markets and from domestic manufacturers. The numbers, compiled in the Port’s annual year-end report, represent an 11 percent increase over 2015. A new video takes viewers behind the scenes of the Port’s active auto terminals, showcasing the logistics and skill involved in being part of the global auto manufacturing network. American-made cars are shipped by rail from assembly plants to the Port’s docks, where vehicles are driven on “ro-ro” ships (roll-on/roll-off) bound for China and other parts of the Far East. Many imports such as Hyundais, Toyotas, and Hondas make their first stop in Portland before being shipped to dealerships across the region. Vehicle imports and exports provide more than 600 direct local jobs for dockworkers, processors and others working in distribution and transportation throughout the supply chain. Each vehicle imported brings an estimated economic benefit of $275 to the region. The Port’s auto story can be traced back to 1953 with the import of Volkswagens through Terminal 1. Since then, well-over 11 million vehicles have come through Port facilities.